Document scanner features a user-friendly design for reliable, simple operation for workgroups and departments in any industry. Capable of scanning up to 60 pages per minute, this scanner can quickly capture and convert paper-based documents into useable digital information. Versatile design can reliably handle an assortment of document types, such as thick, thin, even oversized documents and plastic embossed cards. Onboard image processing CPU makes fast, high-quality scanning possible without depending on PC performance. To help prevent paper jams and damage to documents, the paper feeding and eject sensors are incorporated to minimize document mishaps. 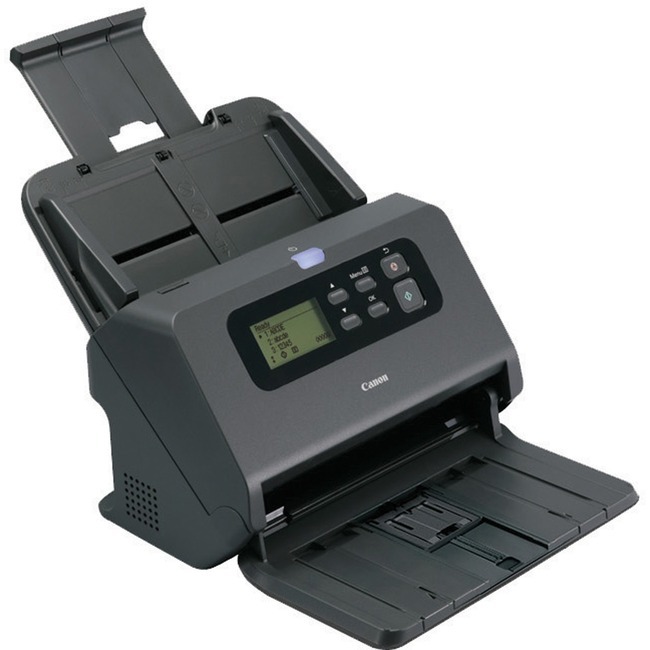 The scanner also incorporates left and right feeding rollers that revolve independently to help prevent skewed feeding when different size documents are scanned together. LCD panel lets you easily create up to 99 customizable, pre-programmed scan tasks that are perfect for frequently used scanning modes and output destinations.